In the kitchen, or on the deck, this handsome egg pattern stands out in the crowd.Lodge's assortment of camping accessories and cooking tools. Lodge's heavy duty, 16-inch, stainless steel tongs are ideal for handling hot coals or briquettes.Lodge's assortment of camping accessories and cooking tools. 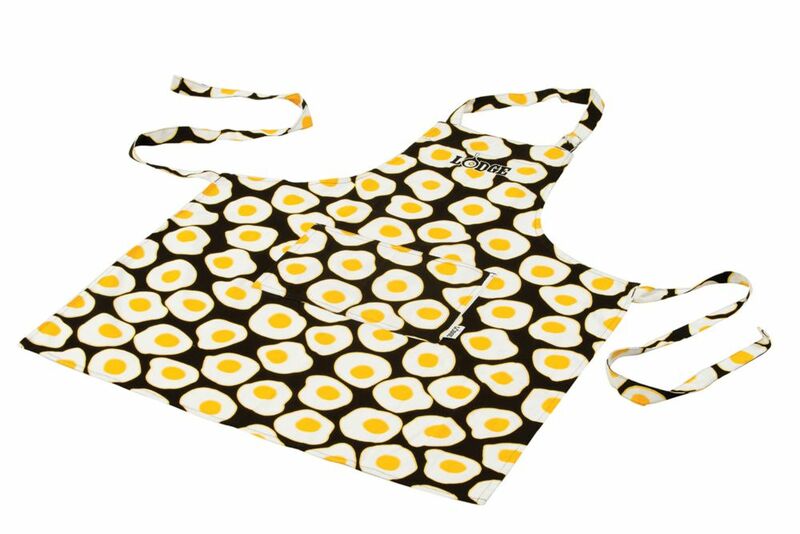 Egg Apron In the kitchen, or on the deck, this handsome egg pattern stands out in the crowd.Lodge's assortment of camping accessories and cooking tools.